The Yale University School of Forestry and the U.S. Forest Service sought to engage private sector landowners of forest acreage in North America, to learn about how they manage their forestland and to ultimately improve forestland stewardship. Almost half of America’s private forests are held by small private landowners yet there is little forest stewardship awareness among them. This is a national resource management problem my client wanted to tackle directly through digital engagement. 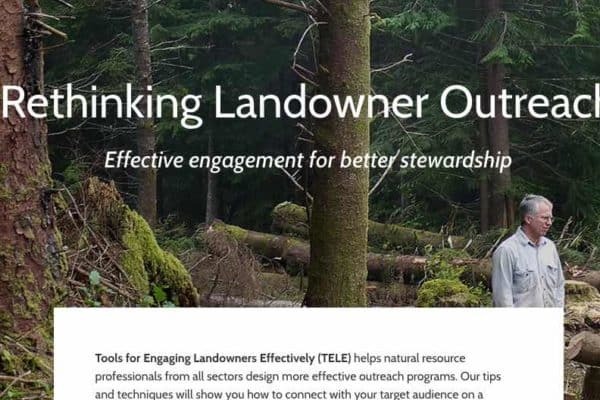 I was part of a team that designed and built a Drupal-based landowner engagement system allowing forest owners to complete a comprehensive, multi-step profile and assessment as a springboard to grant opportunities and federal education initiatives. This engagement process also provided outreach and research opportunities for institutions like the Forest Service and Yale’s School of Forestry.